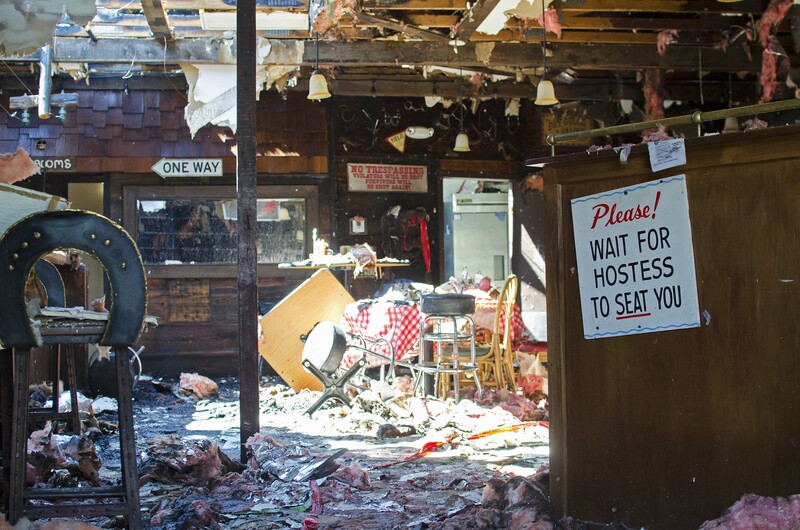 This photo of the aftermath of a fire at the Silver Spur Saloon in Cave Creek, a small town north of Phoenix, was taken this summer by YSU student Graig Graziosi while serving a Pulliam Journalism Fellowship in Arizona. Fires. Floods. Shootings. Protests. Tear gas. Bus crashes. Scorching 120-degree heat. And searching for Italian food. That pretty much sums up the summer of Youngstown State University senior Graig Graziosi, who spent 10 weeks covering breaking news in Phoenix from the newsroom of The Arizona Republic. Graziosi, a journalism major, was one of 24 college students from across the country chosen as a 2016 Pulliam Journalism Fellow, a highly-selective internship that gives recipients the chance to work as journalists under real world deadline pressure while learning from some of the top professionals in the business. Fifteen of the fellows worked at The Republic, and nine spent their summer at its sister newspaper, The Indianapolis Star. Graziosi worked on The Republic’s breaking news desk. His stories attracted about a million readers online, the second largest number of page views claimed by any of the two dozen Pulliam interns. Graziosi, a Boardman native, produced more than 120 stories, some of them as a member of a reporting team, during the summer. He said “a big plus” of the program was the amount of time he got to work directly with The Republic’s editors and reporters. Graziosi is currently multimedia editor of The Jambar, YSU’s student newspaper. Last year, he was editor-in-chief of The Jambar. In October 2015, he received a Pinnacle Award for Best Breaking News Story at the National College Media Convention in Austin, Texas. The Pulliam Fellowship, named after legendary publisher Eugene C. Pulliam, who owned The Indianapolis Star, The Arizona Republic and more than 40 other newspapers during his career, had its first class 42 years ago in the summer of 1974. Since then, the program, been a stepping stone for hundreds of the nation’s most promising college students to get into the business. Henry J. Gomez, a YSU journalism graduate who’s now the politics writer for Cleveland.com and The Plain Dealer, was a Pulliam Fellow in the class of 2002. 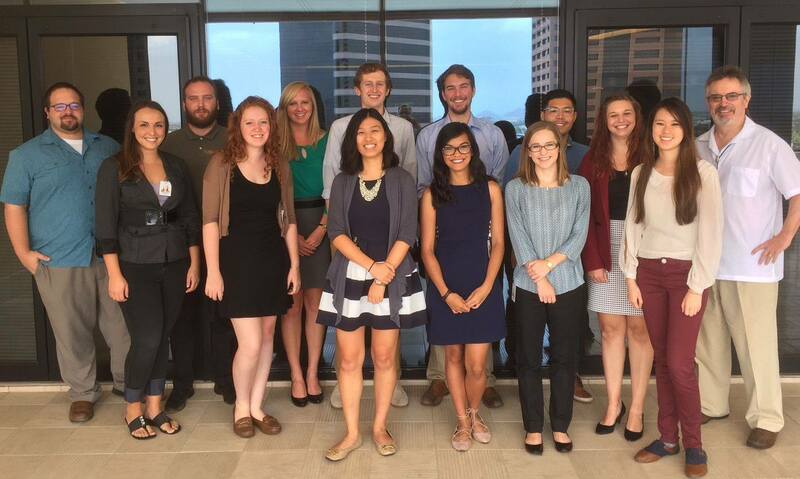 In addition to Youngstown State University, this year’s Pulliam Fellows came from California State University, Arizona State University, Indiana University, Washington State University, Michigan State University, and Ohio University, among other schools. YSU student Graig Graziosi, front row far left, is pictured with his fellow Pulliam Fellows.